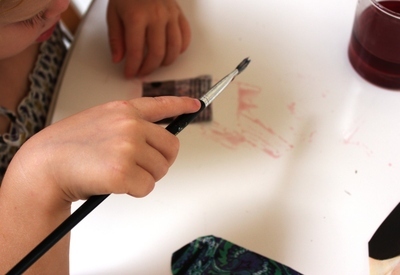 Why not try and make your own stickers using jelly as the adhesive agent? It's easy and great fun - all you have to do is choose any pictures you like and turn them into tasty stickers. So, next time you're making jelly for dessert, set a little bit aside to create your own unique stickers. 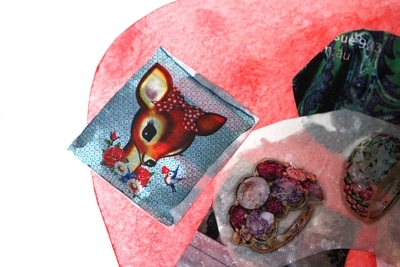 Choose some pretty pictures to cut out of a glossy magazine or maybe even draw your own. 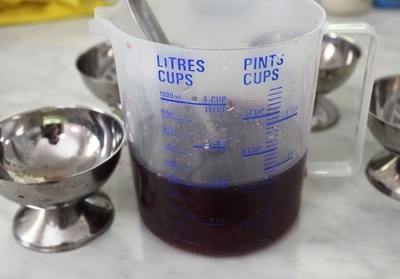 Prepare the jelly crystals by adding boiling water and mixing until the jelly crystals dissolve completely. 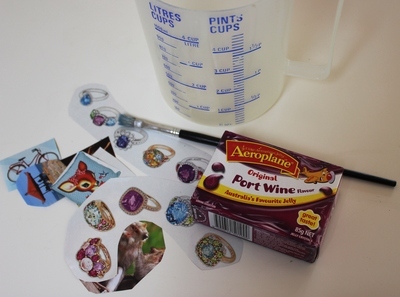 Using a paint brush, paint the jelly mixture onto the BACK of your cut out pictures. Allow the jelly paint to dry completely. Lick the back of your very own stickers and stick them onto a birthday card for a good friend or maybe onto a present for mum. Enjoy the world's yummiest stickers.